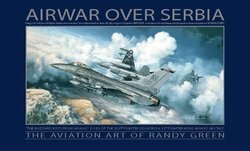 During the summer of 1976, Green's natural abilities as a landscape painter fused with his interest in aviation. 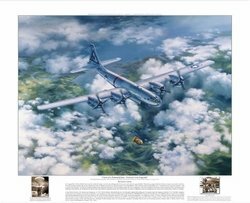 While canoeing one early morning on Eagle Lake in northern Wisconsin, Green witnessed a low-level B-52 Stratofortress breaking over the trees and dipping down toward him to fly nap-of-the-earth! 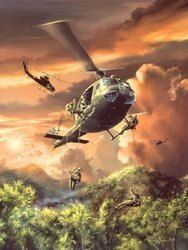 - "I've never forgotten that experience, the thrill and power of the instant that crew flew over a scant hundred feet above me, it was the turning point of my development as an artist. 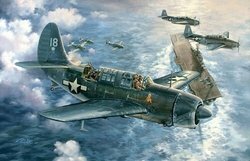 From that point on, I always knew my passion and art would be in the sky and with the aircrews who flew there." 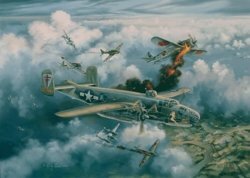 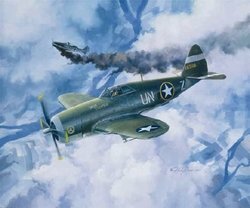 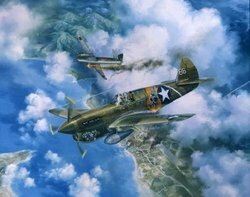 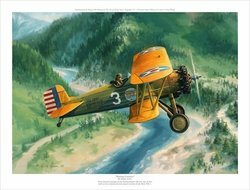 Illustrating aviation and military subjects is Green's hallmark, and it has earned him extensive recognition worldwide as a prominent historical artist. 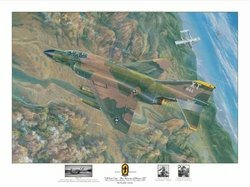 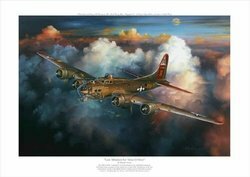 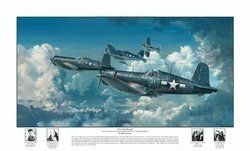 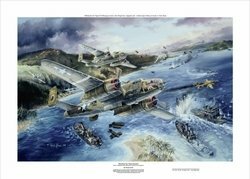 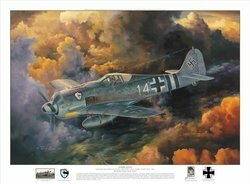 His original aviation paintings and prints grace the walls of museums, private collections, the Pentagon and countless military and government offices across the United States and the globe. 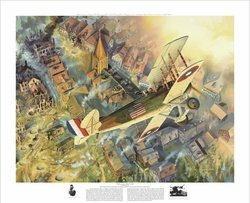 His masterful depiction of extraordinary events in aviation history are always centered on the human element. 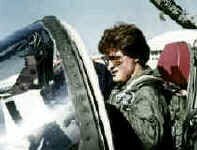 - "Whether it is researching the circumstances of a mission flown long-ago in hostile skies, often with no witnesses to report, or a modern-day achievement, it is the fearless manner and un-feted day-to-day actions of the aircrews which inspire me. 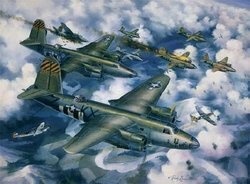 They have always been my personal heroes, and I hope in some small measure, my work has paid tribute to the great personal sacrifices they have endured."